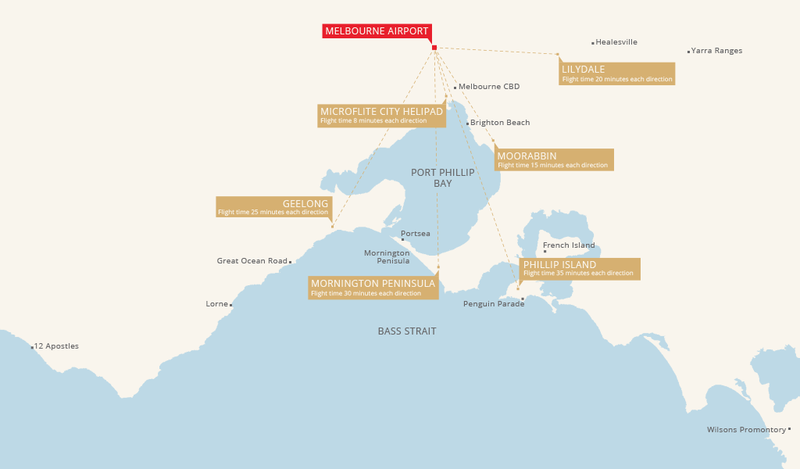 Take a luxurious trip from our CBD helipad or one of Victoria’s regional airports to Melbourne Airport (Tullamarine), or back home after a tiring domestic or international flight. Beat the traffic and take a transfer, make a trip to the ski fields or your favourite golf course, or arrive in style at some of Victoria’s biggest cultural, sporting and social events. 48 hours notice required for bookings for weekends or public holidays.